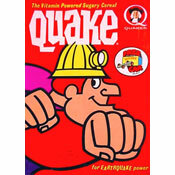 This cereal from Kellogg's was the same as their Crunchy Blends Low Fat Granola With Raisins, except, as you can probably guess from the name, it did not have raisins. In addition to the two granolas, Kellogg's produced one other cereal under the Crunch Blends name: Crunchy Blends Just Right Fruit And Nut. All three Crunchy Blends cereals have since been discontinued. 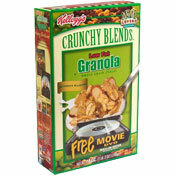 What do you think of Crunchy Blends: Low Fat Granola Without Raisins?